POPSUGAR Reading Challenge Prompt: A cyberpunk book. Brief synopsis: When the multi-billionaire creator of the OASIS dies, he leaves his fortune to the first person who can find the Easter Egg hidden within the OASIS system. Through a series of virtual reality video games based off 80s pop culture, millions compete to win James Halliday's fortune. So, how does a teenager (Wade Watts) come out on top? This is his story. This novel was everything I hoped for and more. While I don't play video games (I hardly know anything about them) and would much rather be a pinball wizard, I do love the 1980s. Ready Player One is full of 80s pop culture references and enough action to keep you on your toes. Plus, if you're a Book of the Month member, you can pick it up as an extra for just $9.99. The characters were likable and clever, with laugh-out-loud moments. I loved that there were strong female characters. And though the storyline is nothing like Harry Potter, it was very reminiscent of the series - the writing was smart, the dynamics were similar. I definitely connected with the characters, and while this is a terrific stand-alone novel, apparently Cline has confirmed a sequel is in the works - so I'd be really glad to adventure with Wade and friends again. 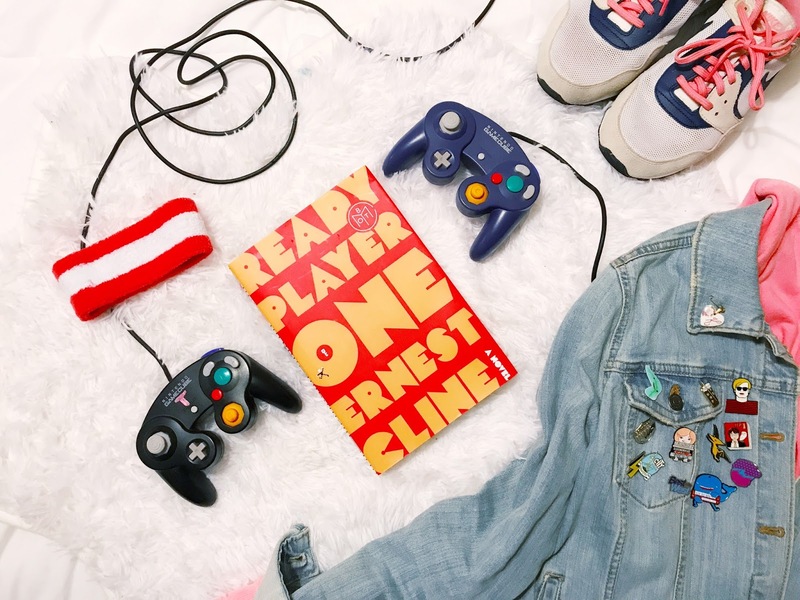 If you haven't heard of Ready Player One before, you will soon - the movie is set to be released later this year, and with Steven Spielberg behind the camera, you can bet this movie will rock your world. See the trailer below. It's SUCH a good book - I honestly haven't seen any negative reviews. I hope you read it soon. Seriously, it's my favorite! And thank you so much. I've definitely been trying to take better pictures, so it means a lot that you said that!